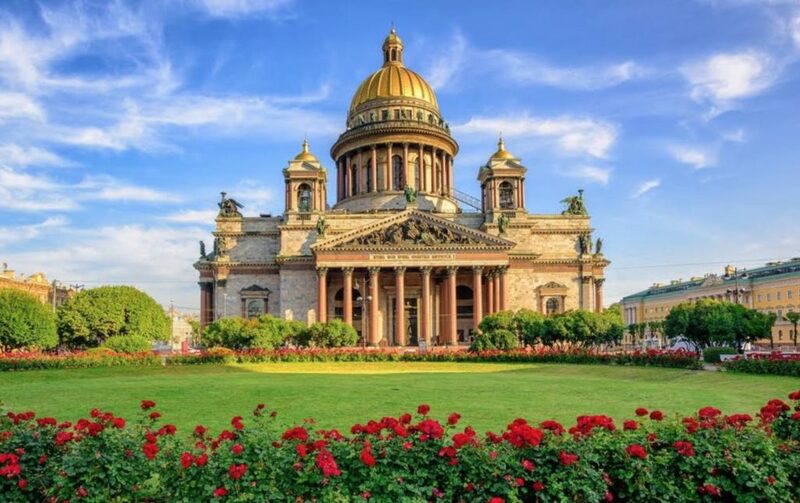 Saint Isaac’s Cathedral, located in the centre of St. Petersburg, is another must-see site in the Russian capital. 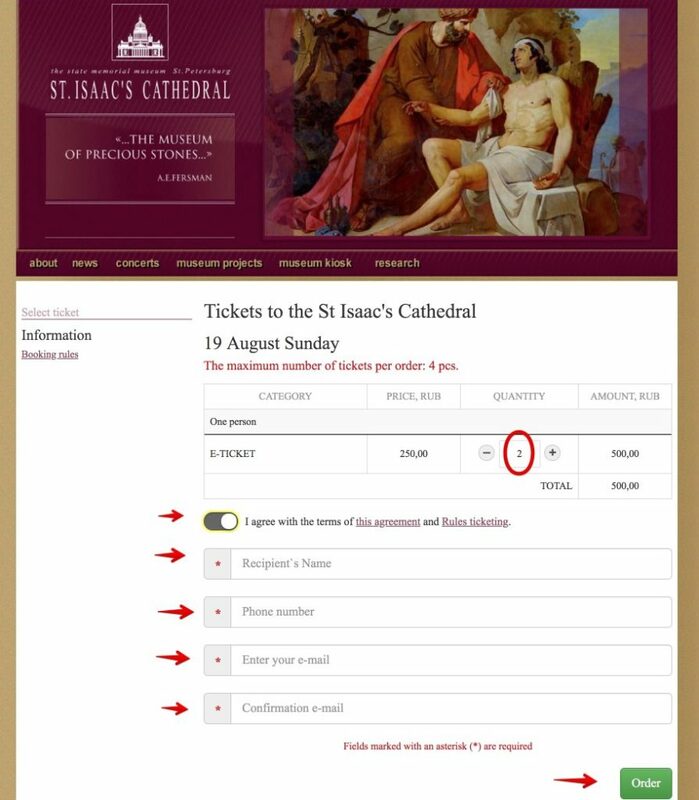 In this article I’ll explain more about the history of this cathedral, its schedules and how to buy tickets online. 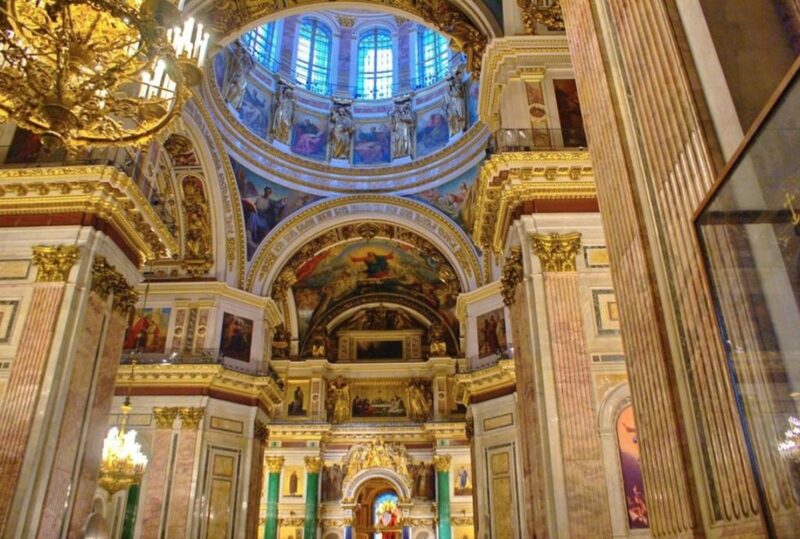 Saint Isaac’s Cathedral (or Isaakievskiy Sobor) can be considered as one the most sumptuous and grandiose of the churches of St. Petersburg. Completed in 1858, it is one of the most important neoclassical monuments of Russian architecture of the nineteenth century. It is located in the centre of the city, in the square of the same name, near Nevsky Avenue and the Hermitage Museum. It has one of the largest domes in the world and is the second highest Orthodox church in the world, 101.5 meters high, behind the Cathedral of Christ the Savior of Moscow that reaches 103 meters. Previously, in the area that the current cathedral occupies, there was a small wooden church dedicated to the monk Saint Isaac of Dalmatia, which was replaced by another church built in stone, which disappeared in the mid-eighteenth century. 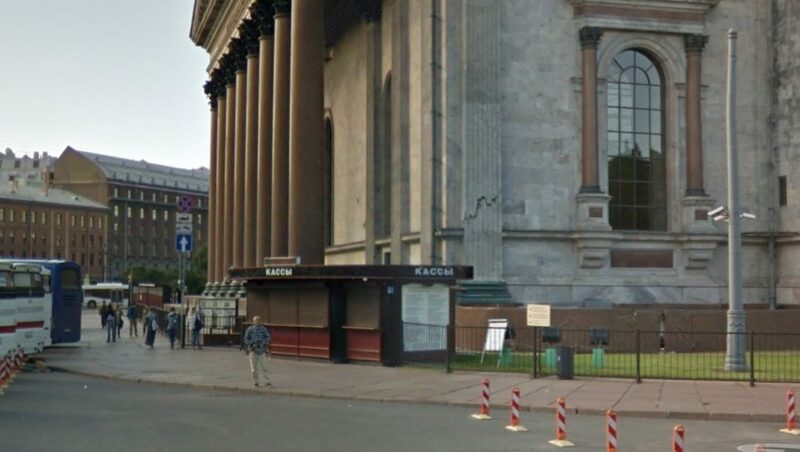 The current Saint Isaac’s Cathedral began to be built in 1818 by French architect Auguste Montferrand. The scaffolding was made by Spanish engineer Agustin de Betancourt and the works were extended until 1858. For its decoration, more than 40 different minerals were used. The plinth was covered with granite, the walls and floors of the interior of Russian, Italian and French marbles, the columns of malachite and lapis lazuli. In the dome of 21.8 meters in diameter, around 100 kilos of gold were used. The cathedral is adorned with 400 works, including sculptures, paintings and mosaics. During World War II, the dome was painted gray to avoid attracting enemy aircrafts. The cathedral has a capacity of 8,000 people and it is visited annually by approximately 1 million tourists. Since 1931, the cathedral is a museum. 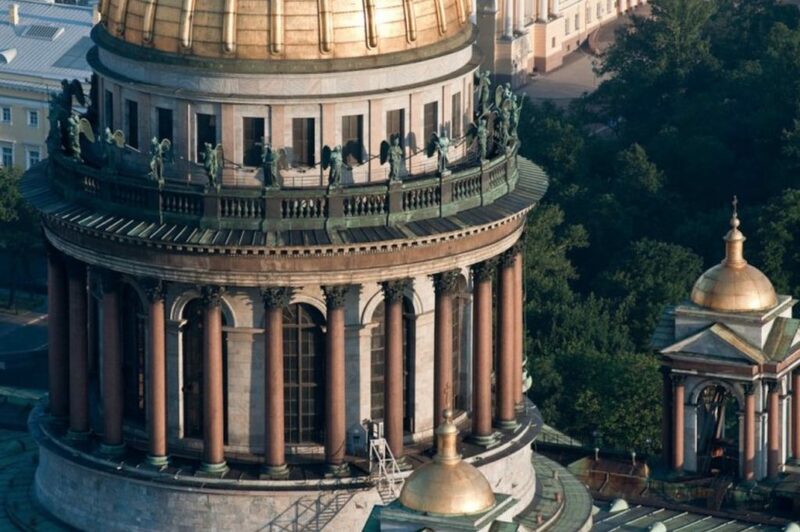 You can climb to the top of the dome through the renowned Colonnade of the Cathedral, from where spectacular views of St. Petersburg can be contemplated. The cathedral opens every day from 10:30 a.m. to 6:00 p.m., except on Wednesdays that it closes. From the end of April to the end of September, it extends its schedule until 10:30 p.m. Entrance to the cathedral: 250 rubles (it’s free for children under 7 years old, while children and young people from 7 to 18 years old must pay 50 rubles). Colonnade of the Cathedral: for an additional cost of 150 rubles, it is possible to visit the Colonnade of the Cathedral of St. Isaac (the colonnaded walkway) in summer at night, going up 262 steps to admire a beautiful panoramic view of St. Petersburg, with the Neva river and its drawbridges. 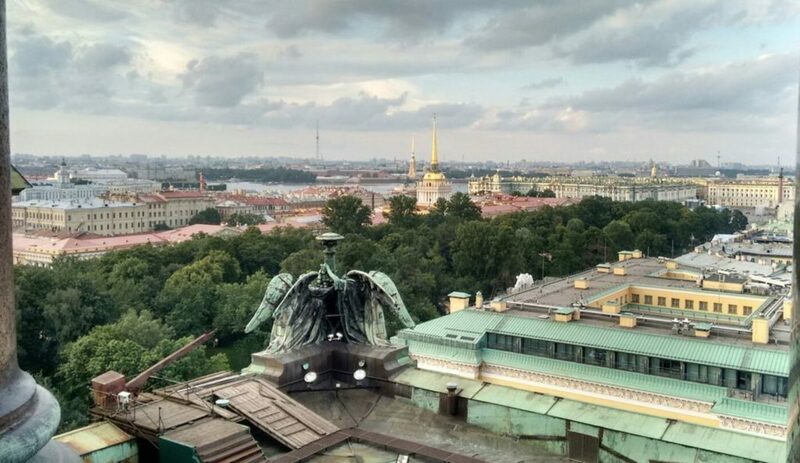 This visit to the colonnade is especially interesting during the period of white nights, from the beginning of June to the middle of July, a period during the sky hardly gets dark. Audioguide: in the cathedral, for an additional 200 rubles, you can rent an audio guide. The same day of the visit at the Cathedral’s ticket offices (250 rubles entrance fee to the cathedral and then 150 rubles to go to the Colonnade). 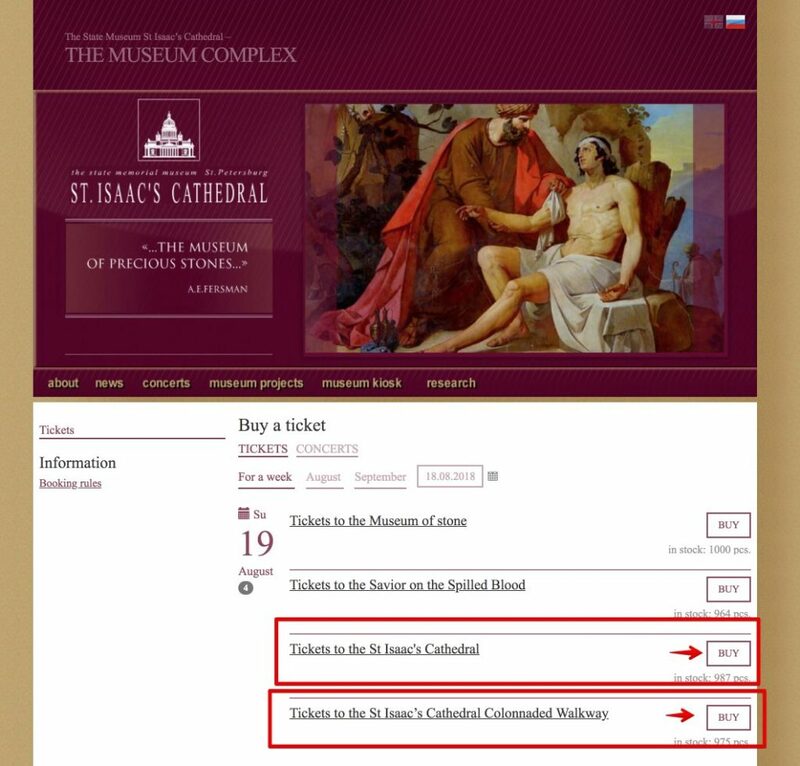 On the official website: http://isaak.ticketnet.ru/en/ (250 rubles at the Cathedral’s entrance and then 150 rubles to go to the Colonnade). Once the payment is made, you will receive a voucher by e-mail that you must print and exchange it on the day of the visit at the ticket office (number 6 and 7), or at the automatic vending machines next to the ticket offices. 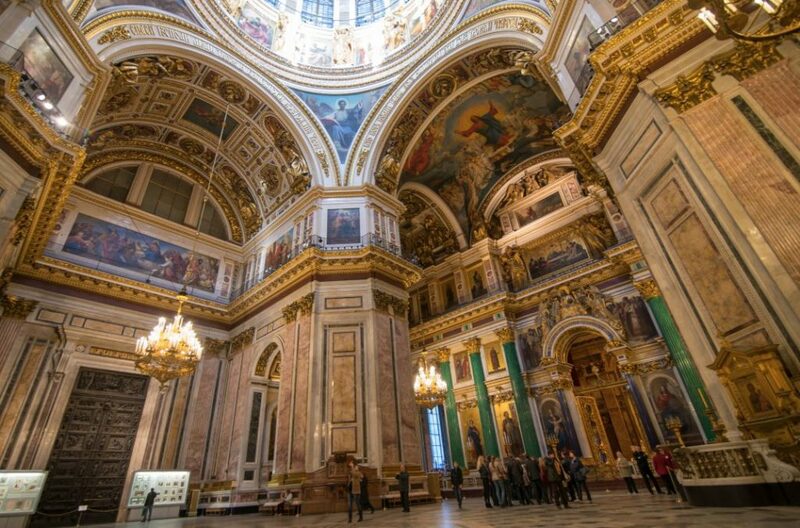 Have you visited Saint Isaac’s Cathedral in St. Petersburg?